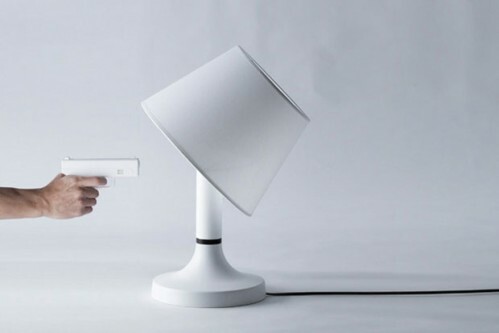 “Bang!” by Bitplay is a lamp that turns on and off by pressing the trigger on its gun-shaped remote control. When you pull the trigger, the lampshade tilts. Found here.